For so long, the thought of failing at what mattered most has dictated how life has gone for you. Life hasn’t felt particularly plentiful — in fact, it’s felt scary and dangerous. You can see the risks and costs of those risks coming to light. It’s not a good thing to be putting yourself at risk. Instead, you put yourself at safety. You’ve been actively battening down hatches and boarding up windows. Reducing the light that comes in during the day, but also reducing everything else that can come in at night. At first it took a long time to see what kind of life this had led to. Rather than take a look at what was being shut out of your experience, you could only look at the risks you were protecting yourself from. The first step was a willingness to trust that we weren’t taking down your castle walls — only taking a look at what else they were keeping out. Underneath most of this lay a fear of failing, being devastated and never recovering. If you are able to trust in your ability to recover — to trust in yourself — then failure is not so costly. But as you took a look, it started to become evident, slowly at first, that you didn’t trust that you would be able to recover. If you failed, you would be finished. There would be no recovery. 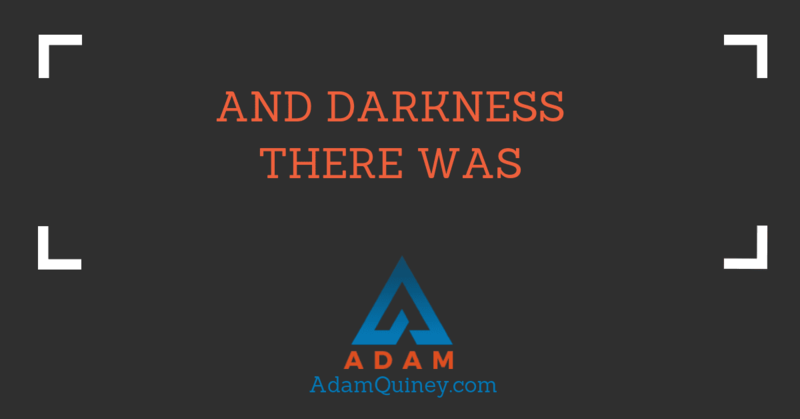 There would be only darkness. So instead, those castle walls had to stay. Your convalescence was slow. It required a lot of rediscovering your capacity to experience devastation and to heal from it. Not only heal, but actually grow from it. And that rediscovery required a willingness to begin putting yourself, slowly, back at risk. To put yourself out into the world in ways that didn’t necessarily feel comfortable. In fact, they didn’t even feel authentic at the time, because they weren’t. What was authentic, at the time, was to protect yourself from the dangers of life, and stay safe inside your lonely castle walls. But you saw what was now being kept out, and you wanted more from life. You wanted more than to focus on how things over here weren’t so bad. You wanted more than telling yourself you should be satisfied with what you have, and justifying to yourself that this particular setup was just fine. You wanted more than trying to create happiness inside a life gone stale from too much safety. And in time, the commitment you chose to a life greater than this one became larger than your fear of failing. This commitment didn’t lessen your fear, mind you. If anything, it caused it to grow, your ego working to protect you from the devastation you knew may lie on the other side of action inline what you were committed to. But you recognized that understanding the relationship of fear to commitment alone would be insufficient to create what you wanted. That more information and knowledge would never bridge the gap and resolve your fear. So you took the scary plunge. You put yourself into the world and took action aligned with the greater game you wanted to play, no matter what your fear told you about failing. And yet, still, on the other side of those things, you discovered that you were still here. You found that your resilience didn’t come from white-knuckling your way through the risks of life, but rather surrendering to them and allowing yourself to stay open through them. In your willingness to allow yourself to fail, you discovered that failing wasn’t the end, but in fact a beginning. Like someone emerging from the rubble of a building into bright daylight, you blinked your eyes and looked around yourself. Suddenly the world seemed a little more available. A little bigger and more open.